Fourth Amendment Seizure – When is a Person Seized for Purposes of the Fourth Amendment? The Fourth Amendment of the United States Constitution protects people from both unreasonable searches and unreasonable seizures. We have written several blogs about the Fourth Amendment. Most of these blogs deal with searches (to learn more, click here, here, and here.) Today’s blog focuses on the Fourth Amendment as it relates to the seizure of a person by law enforcement. The issue of whether a person is “seized” by law enforcement is a very important consideration. If a person is “seized” then the police officer’s behavior must be in line with constitutional principles. Since an officer is a government actor, his actions may not violate the Fourth Amendment. 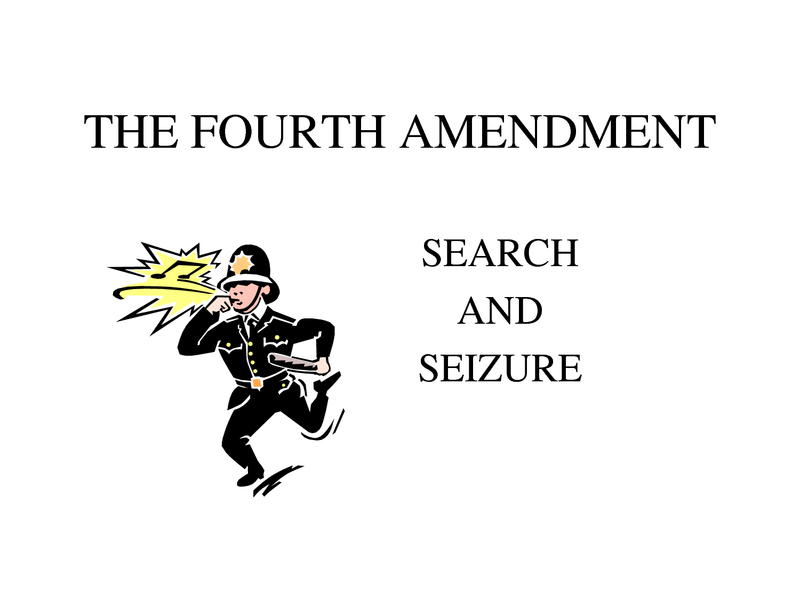 An “unreasonable” seizure violates the Fourth Amendment. In order to stop a vehicle,” police officers must have reasonable suspicion that crime is afoot. If they do not and they “seize” a person by stopping that person’s vehicle, the officer is acting illegally by violating the Fourth Amendment’s prohibition on unreasonable seizures. The question then becomes, at what point in a traffic stop does a Fourth Amendment seizure occur? A Fourth Amendment seizure does not occur when an officer simply turns on her patrol vehicle’s lights and siren to signal for a vehicle to stop. However, once a driver submits to the officer’s demand that the car stop by stopping their car, a Fourth Amendment seizure has occurred. So, an officer must have reasonable suspicion that a traffic violation or other crime is afoot by the time that the vehicle stops. So then, when does a Fourth Amendment seizure occur in cases in which the vehicle is already stopped? The question posed in the preceding paragraph is an important one. It is common for police officers to approach a parked vehicle for purposes of conducting an investigation. North Carolina Courts have opined on when such an occurrence amounts to a Fourth Amendment seizure. When a vehicle is stopped, police may make voluntary contact with the driver and/or passengers of the vehicle. Meaning, by approaching the vehicle and speaking with the occupants, police have not initiated a Fourth Amendment seizure. However, this can change. Voluntary contact can quickly evolve into a situation in which occupants are in fact “seized”. Some factors to consider in determining whether a police encounter amounts to a seizure include: Would a reasonable person feel that they are not free to leave? Are the police giving a show of authority? Have they asked you to step out of the vehicle? Have they activated blue lights? Have they told you that you are not free to leave? Are they making demands (e.g., “roll your window down” “stay seated” “put your hands on the steering wheel” “show me your license”). So, what should I do if I am not sure whether I have been seized? One of the easiest ways to tell is to ask. “Officer, am I free to leave?” If the officer says no or behaves in a way which you could reasonable interpret their answer to be “no”, it is pretty safe to say that you are likely experiencing a Fourth Amendment seizure. This is important because if officers do not conduct themselves in a manner consistent with the Constitution, you may have grounds to move to suppress evidence that they uncover. Please remember two things when encountering police officers, particularly in situations where you are not sure whether or not they are acting lawfully. One, your safety is the most important. You can clear up issues of constitutional violations on a later date by contacting a criminal defense lawyer. And two, a situation can very rapidly escalate into a situation in which you find yourself being arrested for “resisting an officer” (click here to read about resisting an officer in North Carolina). Once this occurs, you may or may not be able to beat the charges, but it is best to avoid this situation altogether. So, try to remain calm and use common sense if you find yourself in such a situation. You can call a criminal defense attorney after you have safely gotten out of the encounter. If you have questions about the constitutionality of police conduct in a situation in which you were charged with a crime in North Carolina or South Carolina, contact a criminal defense lawyer to discuss your case.